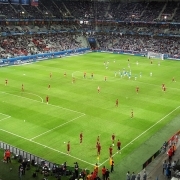 The organisation overseeing preparations for the 2022 World Cup in Qatar has begun approaching law firms to bolster its stable of legal advisers in the run-up to to the event. Qatar’s Supreme Committee for Delivery and Legacy – which was established in 2011 after the country was named as host of the 2022 tournament – is responsible for delivering the new stadiums, non-competition venues and infrastructure for the event. The committee is known to have already worked with a number of law firms in the region, including Clifford Chance (CC), DLA Piper, Bird & Bird and Gibson Dunn & Crutcher, but it is understood that it has recently contacted others about providing additional advice. One source close to the process told Legal Week that the organisation could formalise its existing law firm relationships under a panel arrangement, and that at least two firms have had informal conversations with the committee about the process. In 2013, CC announced that the Supreme Committee had appointed the magic circle firm to advise on its infrastructure programme, including the construction of the Lusail Stadium which will host the final and the opening and closing ceremonies. The same year, Bird & Bird opened an office in Dubai and cited the Supreme Committee as one of its recent client wins in the Middle East. DLA’s website, meanwhile, states that the firm has advised the Supreme Committee on “partnership arrangements for the development of a stadium and tournament infrastructure and the legacy redevelopment of one of the 2022 Football World Cup tournament sites”. 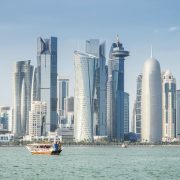 In the last two years, a number of firms have pulled out of the Doha market, including CC and Herbert Smith Freehills, which closed their offices this year, and Latham & Watkins, which shut down its Doha and Abu Dhabi bases in 2015. The Supreme Committee declined to comment. It was widely reported yesterday (20 November) that PCP had made a bid in the region of £300m for the Premier Legal club late last week, although the exact value of the offer has been disputed. Newcastle’s owner, Sports Direct founder Mike Ashley, announced last month that he was considering a sale after 10 years of ownership. The club, which he purchased for £133m in 2007, is currently sitting in 11th place in the Premier League after returning to English football’s top flight this summer following its relegation in 2016. A competitive bidding process is now underway, with a number of interested parties taking part. Dentons is advising Ashley on the bids, with real estate partner Andrew Henderson leading the firm’s team alongside corporate partners Richard Barham and Matt Tinger. PCP, which is led by CEO Amanda Staveley, has turned to Freshfields for advice. Private equity partner Charles Hayes and corporate partner Christopher Mort are leading the magic circle firm’s team on the bid. Mort also led the Freshfields team that advised Ashley on his takeover of the club in 2007. He was subsequently appointed as club chairman, taking a year-long sabbatical from Freshfields to fill the role. 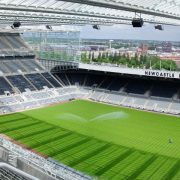 Dentons also played a role on the 2007 deal, advising Newcastle United president Sir John Hall on the sale of his stake to Ashley, with corporate partner and current UK CEO Jeremy Cohen heading up the firm’s team. Real estate partner Henderson has acted for Ashley’s company Sports Direct on a series of property deals, including its acquisition of 161-167 Oxford Street and 36 Poland Street for £108m and its £44m disposal of an office block to the University of Westminster. 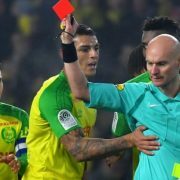 In a statement, Dentons said: “We are delighted to be engaged on such an important and high-profile instruction, which demonstrates our multidisciplinary strengths, our expertise in the sporting sector and our role as key business advisers to our clients.” Freshfields declined to comment. Ashley also regularly turns to City firm RPC, which advised him on his recent High Court win against investment banker Jeffrey Blue. The case hinged on the allegation that during a night of heavy drinking, Ashley had promised Blue £15m if he could boost Sports Direct’s share price from £4 to £8. PCP, meanwhile, is currently embroiled in a legal dispute with Barclays over a controversial $3bn capital-raising exercise by the bank at the height of the 2008 financial crisis. At the time, Barclays held discussions with both PCP and Qatar Holding, then the bank’s largest shareholder. PCP alleges that Barclays acted dishonestly with regards to the different terms offered to Qatar Holding for participation in the capital raising and is claiming hundreds of millions of pounds in damages. US firm Quinn Emanuel Urquhart & Sullivan is acting for PCP on the dispute, while Simmons & Simmons is representing Barclays.